Sunshine Through the Rain: May goal checking in! For May I need to get this pile of fabrics (with a few more added from my stash) turned into a quilt for my nephew. No more words - off to get on with it! Ooo that's a fun stack of fabric. Have fun sewing. A quilt for your nephew too! phew you are one busy quilting lady! Good luck! 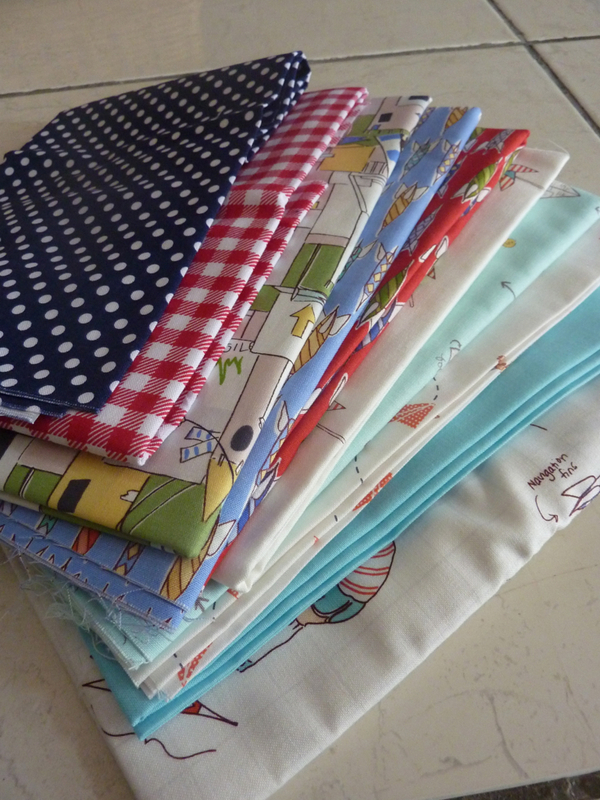 It's a very cute stack of fabrics. How old is the nephew? That fabric looks great! Can't wait to see what you come up with! You have some great fabrics to work with here and no doubt you have some good design ideas. Hope it all goes well!